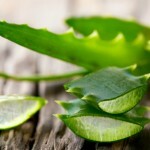 The aloe vera plant produces a watery gel that has proven effective in treating acne because of the enzyme-rich gel’s soothing anti-inflammatory and anti-bacterial properties. Aloe vera gel can be applied topically to the skin and is also safe to be ingested internally to clean the digestive tract, which in turn clears the skin. Pure aloe vera gel can be applied to the skin after cleansing, or you can purchase one of the many products on the market such as Aubrey Organics Pure Aloe vera Gel, which is a natural product that contains aloe vera, grapefruit seed extract, and vitamin E.
Tea tree oil comes from the leaves of the Melaleuca alternifoliais tree native to Australia. It can be very effective against acne because it contains bacteria-fighting substances, and acne is often caused by bacteria. Tea tree oil is not to be taken orally, but rather to be applied directly to the skin once a day in the form of a five percent tea tree oil gel. It is the only essential oil (except for lavender) that can be safely applied directly to the skin. The Body Shop markets Tea Tree Oil in a conveniently sized bottle. 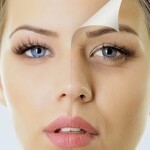 The acne in both men and women can improve with vitamin E treatment. 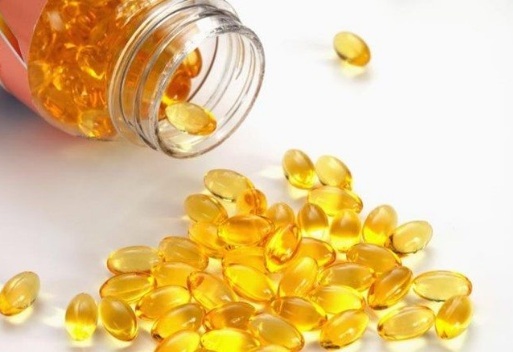 Vitamin E helps protect the skin from damage by eliminating harmful free radicals and can also help heal acne scarring. Zinc taken orally in capsule form has proven to be effective in treating acne by strengthening the immune system and helping to repair the skin. A study published on the website PubMed.gov stated that zinc may constitute an alternative treatment for inflammatory acne lesions. There are two widely used forms of zinc supplements for acne: zinc gluconate and zinc sulfate. Research done at NYU Langone Medical Center demonstrated that taking about 135 milligrams of zinc sulfate orally is effective in reducing acne inflammation but not as effective as using antibiotic therapies. Honey Facial: Apply uncooked honey to face and pat until sticky. Leave on for five minutes, and rinse thoroughly. Honey enzymes rejuvenate the skin and act as an antimicrobial. Azelaic acid: This naturally occurring acid is found in wheat, rye and barley. It acts as an antimicrobial but also assists the normal sloughing and regeneration of skin cells. The first step in treating severe acne naturally is to cleanse the digestive system. This can be done by consuming a liquid diet for one day, and then eating plenty of food that contains fiber, such as fruits, vegetables, and whole grains, and avoiding excessive amounts of sugar. Once you’ve cleansed your digestive system, maintain its healthy functioning through a healthy and nutritious diet rich in dietary fiber and protein. Physical fitness enhances overall health. Try to take part in at least an hour of daily exercise by walking, jogging, running, cycling, yoga, aerobics, dancing, or working out at a gym or fitness center. Exercise not only burns fat, it also encourages the body to sweat, which is a way to remove toxins that can cause and exacerbate acne. Exercise increases the blood flow and helps the skin to breathe and maintain a healthy glow. Two parts of chickpea flour mixed with one teaspoon of turmeric, one teaspoon honey, and one teaspoon buttermilk. Avoid the use of any chemicals on your skin to give it a chance to heal itself naturally, and don’t use any creams, lotions, or ointments until the normal skin condition is restored. 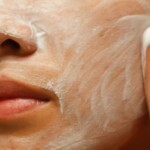 Repeated use of chemicals can cause breakouts and damage to the skin, even among those who are not prone to severe acne. Stress is the cause of many diseases of the body, and may make severe acne worse. Try to have a positive mental attitude, and be sure to make some time for hobbies, recreational activities, and to spend time with friends. Get plenty of sleep by going to bed and rising at around the same time so that your body will settle into a healthy rhythm. After six months, if natural methods of treatment have not succeeded in clearing severe acne, a course of oral antibiotics may be necessary. The most common antibiotic prescriptions are erythromycin, minocycline, and tetracycline, and they all require a doctor’s prescription. Natural treatments usually involve lifestyle changes, and require a person to find their own natural balance, which may not be the same for everyone. Those who suffer from severe acne will want to lead as healthy a lifestyle as possible, avoiding all foods, chemicals, and habits that may make their skin condition worse. A person’s general health is usually reflected in their skin, and achieving balance in your diet and lifestyle will no doubt have far more benefits than just clearer skin.